The history of the classical guitar and its repertoire spans over four centuries. Throughout the centuries, the classical guitar has evolved principally from two sources the Lute, and the Baroque guitar. The popularity of the classical guitar has been sustained over the years by many great players, arrangers, and composers. All lessons are $30 for half an hour. Monday to Thursday from 4pm-8.30pm. Bookings are essential for all our lessons. See below for teachers. Anthony began learning the guitar at the age of 14 after initially being inspired by the music of Nirvana. He first started learning at Guitar Village in Frankston and learnt for a year before his teacher showed him a thing called “classical guitar”. 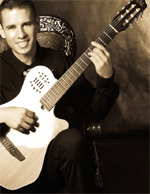 Once he commenced learning classical guitar he worked through the AMEB grades and then by the time he was in VCE he knew that he wanted to study classical guitar at VCA. He then begun getting serious about his music making and eventually got accepted into the Victorian college of the arts school of music. After graduating from VCA Anthony he began teaching and performing anywhere he could from busking to restaurants and recitals and really enjoys being a musician within the community. He then begun teaching at TPS in 2013 and really enjoys inspiring student’s music making. Anthony feels very strongly about the role of music in the world and believes that every human being should have access to be involved with music making. He believes that music making is lifelong process that brings a great deal joy to many people’s lives. I am one of the guitar teachers at Guitar Village. I have played guitar most of my life and am able to play all styles. I completed my diploma of music at the Melba Conservatorium of Music in 2008. I have taught guitar for many years both privately and in schools to students of all ages and ability. 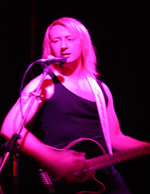 I am also a songwriter and am one half of original pop/rock duo "SugarDoll".